Victor was born in Newbury in 1892 the second child of Edward Thomas Knight and his wife Annie Martha (née Mitchell). He had one elder brother, also Edward Thomas (born in London in 1891) and sisters Florence May (born in 1894) and Elsie Maud (1901). Home to the Knight family for most of the war. Edward and Anne had met in London where Edward was working as a groom/coachman. 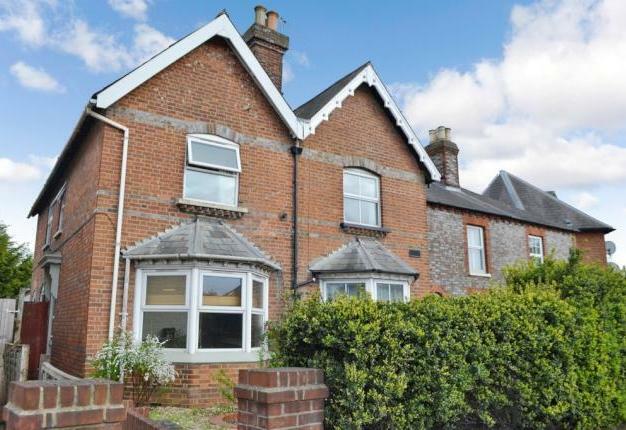 Soon after the birth of their first child they couple moved to Edward’s home town, Newbury. Back home he worked as an upholsterer. They lived in several homes amongst which were 1 Ellerslie Villages (now No 59), York Road; Clovelly (now No 118), Boundary Road; The Technical Institute, Northbrook Street (where they would have acted as caretakers); and 64 St George’s Avenue (council houses built post-war as ‘homes fit for heroes’). Following Annie’s death in 1938 Edward went to live at 43 King’s Road with his daughter Florence and her husband, Frank Piper, until he too died in 1945. The 1911 census asked householders questions about their family – how long had they been married? how many children had they had? and how many of those children were still alive? This was a recognition of the problem of infant mortality and a means of gathering statistics that would tell the Government the true scope of the problem. Today we often hear the sentiment that no parent should ever have to bury a child; yet, at the turn of the 20th Century, it was rare that parents would die without facing that dreadful reality at least once. In the case of the Knight family the answers were very revealing: Edward and Annie had had a total of six children (not a large family at the time) of whom only two, Victor and May were still alive. Edward junior had died a year earlier, aged 18, and Elsie a few months later, in October 1910, aged nine. The names of the other two, who died in infancy, remain a mystery – though strong possibilities are George William (1895-96) and Evelyn Annie (1904-1905) whose short lives were lived in Newbury. The children were educated at the British School (a non-conformist alternative to the Church of England schools that educated most young Newburians). As Baptists, Edward and Annie would have found the most acceptable school locally. Victor would have left school aged between 12 and 14 (education was compulsory to age 12 and commonplace in Newbury until 14). His earliest known employment was as a footman in the employ of a wealthy Irishman, Francis George Sherlock, in Studland Bay, Dorset. This suggests that he went ‘into service’ soon after leaving school, perhaps as a boot boy or similar – a role that would lead naturally to that of footman when he was older. 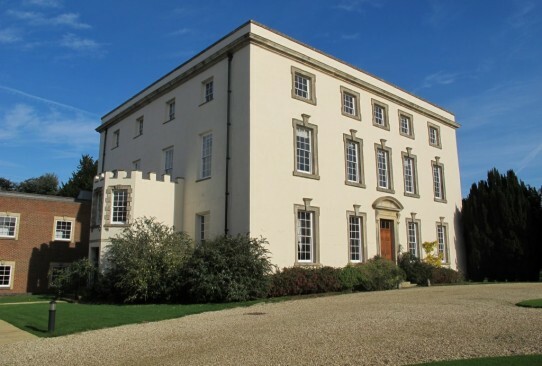 He later worked at Burderop Park, a large country house near Chiseldon, Wiltshire, the home of the Calley family. Following the outbreak of war in August 1914 much of the Burderop Park estate was requisitioned by the War Office as the site of a new facility – Chiseldon Camp – where thousands of young volunteers of Kitchener’s Army were trained. 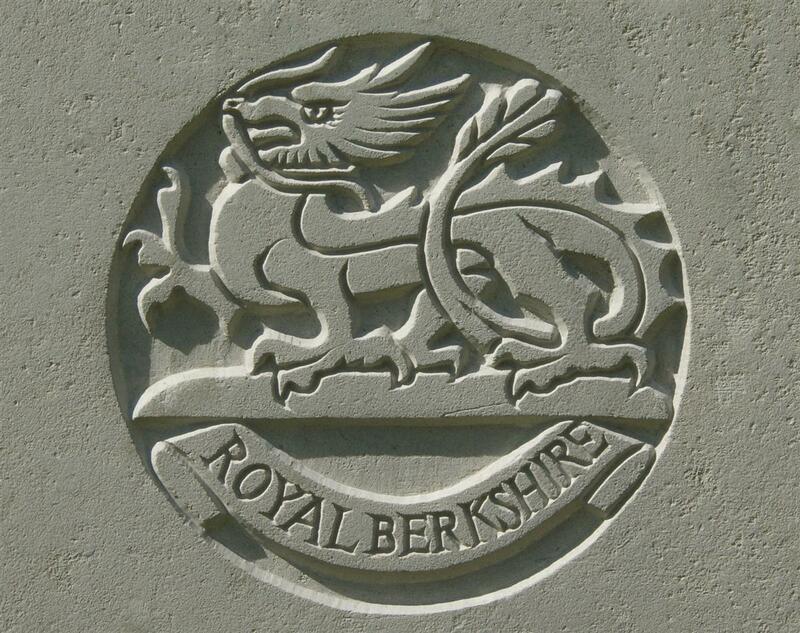 Victor also went into military service, enlisting in late 1915 into the Royal Berkshire Regiment. Following his training he went to France in 1916, probably amongst a draft of replacements for the regiment’s 5th Battalion following the heavy losses incurred during an abortive attempt to capture Ovillers-la-Boiselle on 3 July. In the following months Victor would have become accustomed to the routine of the trenches and would certainly have experienced an enemy bombardment or two; he may well have taken part in one of the trench raids carried out by the battalion, but his first experience of a full-scale assault would be on 9 April 1917 at the Battle of Arras when the 5th Royal Berks took part in the very successful opening assault of the battle and achieved its objectives with relatively light casualties (103 men killed or wounded). Following this the battalion was relieved and went into billets where it received replacements and reorganised. 5th R Berks targets of Bayonet and Rifle Trenches. 35th Bde received orders to capture BAYONET TRENCH, that part of RIFLE Trench still occupied by enemy and push out a line of outposts in advance of new line. Capture of BAYONET and RIFLE trenches allotted to 5th R Berks Regt on left, 7th Norfolk Regt on right, 7th Suffolk Regt being responsible for capturing 2nd objective, 9th Essex Regt, being in Brigade Reserve. Dividing line between this Bn and 7th Norfolks I.31.a.0.6, I.31.a.6.7, I.26.c.1.8. 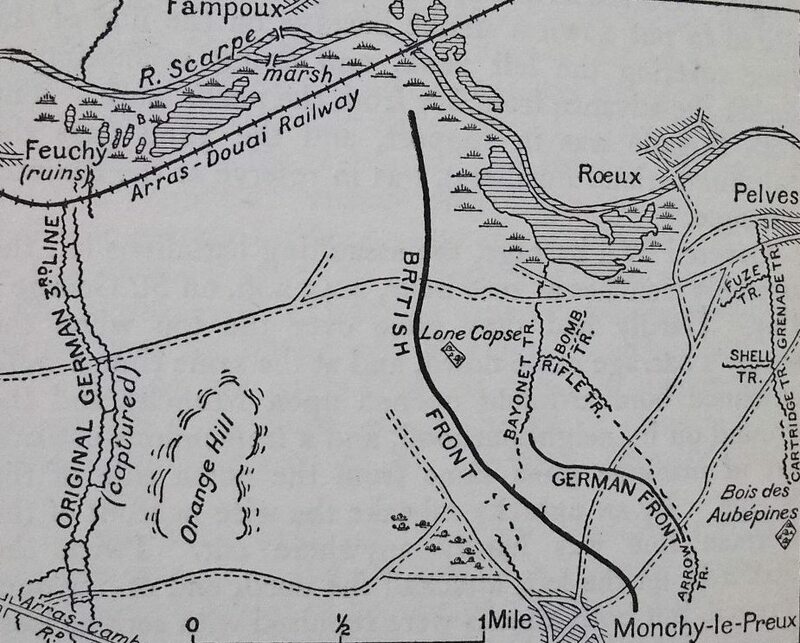 The Battalion attacked at 4.25am on a three Company Front. C Coy on Right, D Coy in Centre, A Coy on Left – B Coy in Reserve. All companies got close up under barrage and took their objective without difficulty – consolidating BAYONET and RIFLE trenches. The 7th Norfolk Regt was not successful – and the 7th Suffolk Regt on going through us at Zero +50 min was met by heavy rifle and MG fire and could not get on. The left company of this Battalion captured one machine gun, 1 officer and 16 other ranks prisoners. At 9am. The situation was that this Bn held BAYONET Trench and RIFLE Trench as far as I.31.a.55.75 where a bomb stop was made. The enemy occupied RIFLE Trench as far as HARNESS LANE. Position of 7th NORFOLKS and 7th SUFFOLKS unchanged. One Company of 9th ESSEX Regt was attached to the Bn & came under the Commanding officer’s orders. The most severe trial for the 5th Berks came in holding the captured trench. Counter attacks were attempted, but with the splendid aid of the artillery the Berkshires stood firm and consolidated the captured ground. The German artillery fire was very heavy but the worst trials came owing to the failure of other units to take other portions of the trench on their right. The consequence was that in their captured position the Berkshires had to face a particularly concentrated aggregation of enemy fire. It was three days before the Berkshires were relieved and in that period they sustained about 200 casualties. Saturday morning my battalion had another smack at Fritz. It was worse than any fight I have yet been in. We simply knocked his lines off the earth and when the barrage lifted of his trench into it we jumped. He put up a show after, in counter attacks, but he cannot do much against our gunfire, it’s too awful. I had a most wonderful escape; part of my Company were in a very narrow piece of the captured trench and we were just waiting for a counter attack when something happened and I was thrown forward on my face.. The man next to me on one side was dying and on the other side my sergeant was dead. Beyond him the junior sergeant was lying badly wounded and I set to work to give him a dressing and then bound up my wound. The shell had apparently burst directly over or behind me and only caused slight damage to me. My rifle was blown to atoms. After about an hour I got back to the dressing station, but we had to run for it as Fritz sniped and then opened machine gun fire on us. This was to be Victor’s last action; he was killed that day, one of over 200 casualties. KNIGHT – April 28, Albert Victor, the only son of Edward and Annie Knight, of Clovelly, Boundary-road, aged 25, of the Royal Berks Regiment. This was picked up by the editorial staff and further information was given in the regular column dedicated to news of local men in the military. The parents of Pte Albert Victor Knight, Mr and Mrs E Knight, of Clovelly, Boundary Road, Newbury, have received the sad tidings that he has been killed in action. Pte Knight was aged 25. He had been educated at the Boy’s British School and since then had been employed at Burderop Park, Swindon. Soon after the outbreak of war he joined up, and preferred enlisting in the Royal Berkshire Rgt to belonging to one outside his county. He had a long training on Salisbury Plain and Portsmouth, and went to France ten months ago. In ever loving memory of our dear son and brother, Victor Knight, who was killed in action somewhere in France, April 28th, 1917. But his photo in the frame. Our dear one gone forever. From his ever loving Mother, Father, and Sister. His remains were never identified, so his name is remembered on the Arras Memorial. 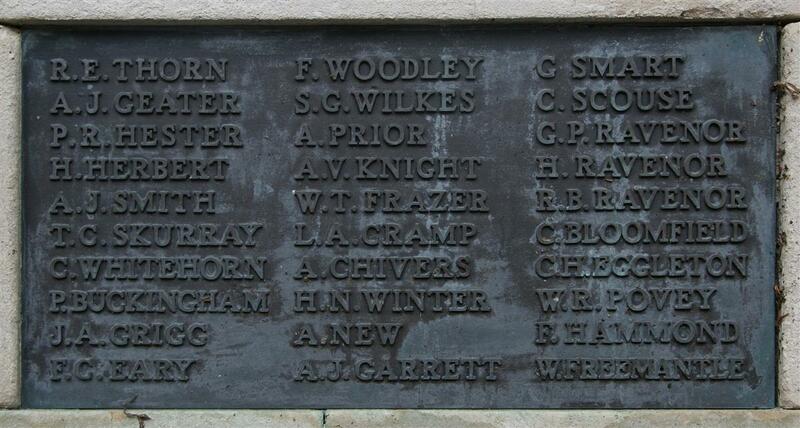 Locally he is remembered on Tablet 12 of the Newbury Town War Memorial and (as Victor Knight) on the memorial in Newbury Baptist Church.